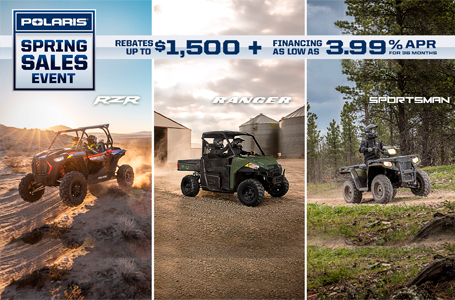 View New 2019 Polaris Rangers, RZRs, and Generals! Ride Harder: Legendary Sportsman® riding and handling allow you to navigate the tightest corners and conquer the toughest terrain. Independent Rear Suspension and an industry-best 9.25" of suspension travel keep you riding comfortably and confidently all-day long. 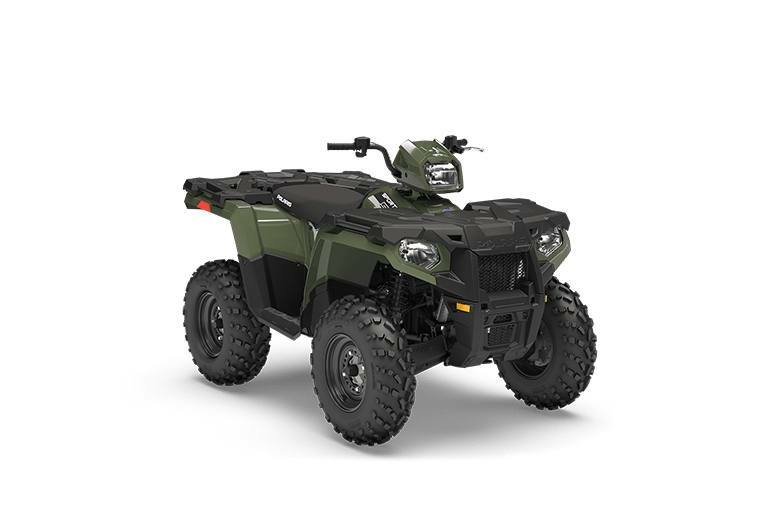 Built for battle with a heavy-duty chassis paired with a 44 HP ProStar® 570 engine featuring dual overhead cams and Electronic Fuel Injection (EFI) to power through in any conditions. Do More: Handle any task in confidence with factory-installed receiver hitch and up to 1,500 lbs. in towing capacity, 485 lbs. payload capacity and a combined 270 lbs. front & rear rack capacity. A factory-installed winch and plow mount plate allows for quick accessory integration to get the job done quickly. 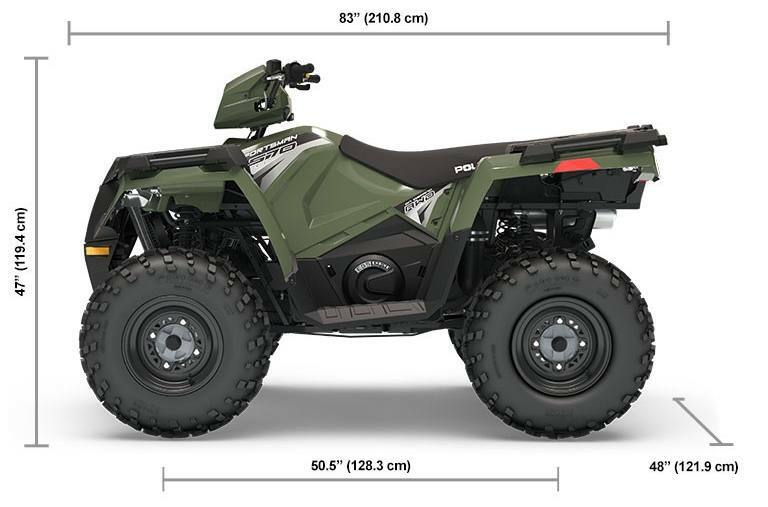 Go Further: The rider-inspired design takes you further down the trail with 11" of obstacle-dominating ground clearance. The industry's fastest-engaging all-wheel drive (AWD) pulls you around corners and over rocks without stopping. More efficient underbody airflow makes the ride cooler and quieter, so you want to ride longer. 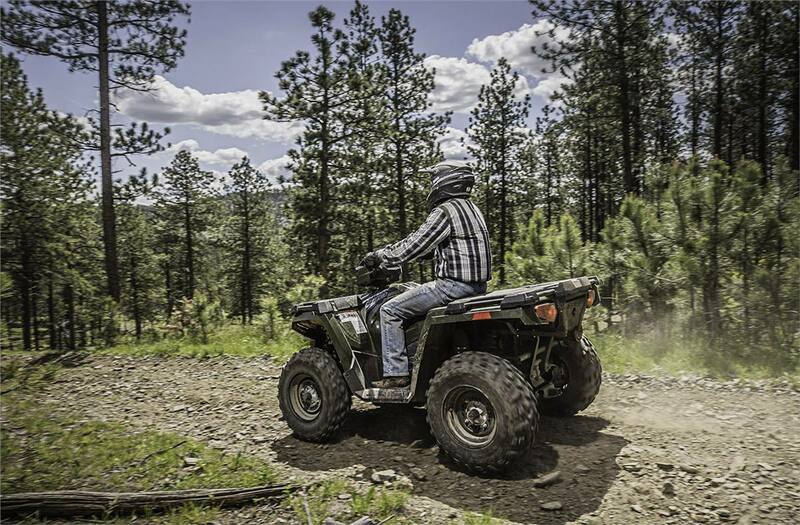 ATVs can be hazardous to operate and are not intended for on-road use. Polaris adult models are for riders age 16 and older. For your safety, always wear a helmet, eye protection, and protective clothing, and be sure to take a safety training course. For information call 800‑342‑3764. Check local laws before riding on trails. ©2019 Polaris Industries Inc.
2019 Polaris Industries Sportsman® 570 EPS LE - Military Tan Premium Ed. (317) 769-5728 7353 S. Indianapolis Rd.